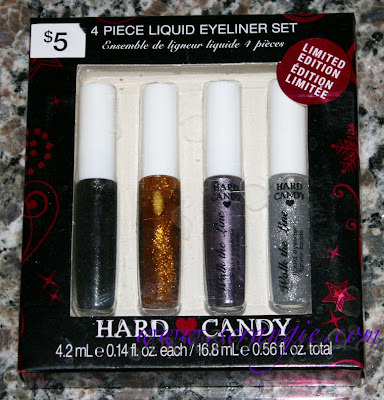 Five mini (0.1oz) glitter nail polishes for $5. Very similar to the $1 mini glitter polishes, just in taller bottles and slightly different shades. This is a set of four mini (0.14 oz) Hard Candy Walk The Line liquid eyeliners. 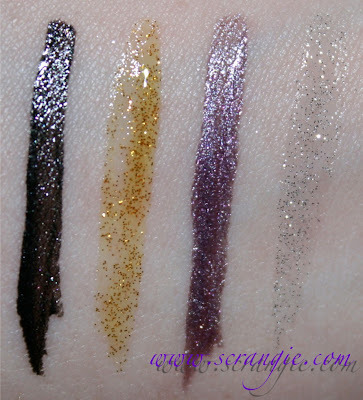 A black, a gold glitter in a gold-tinted clear base, a metallic purple and a silver glitter in a clear base. 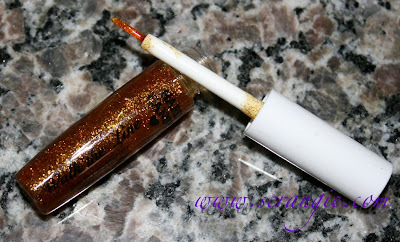 They glitters are too sheer to wear alone as liner but they're good layered or worn as glitter gel on top of eyeshadow. 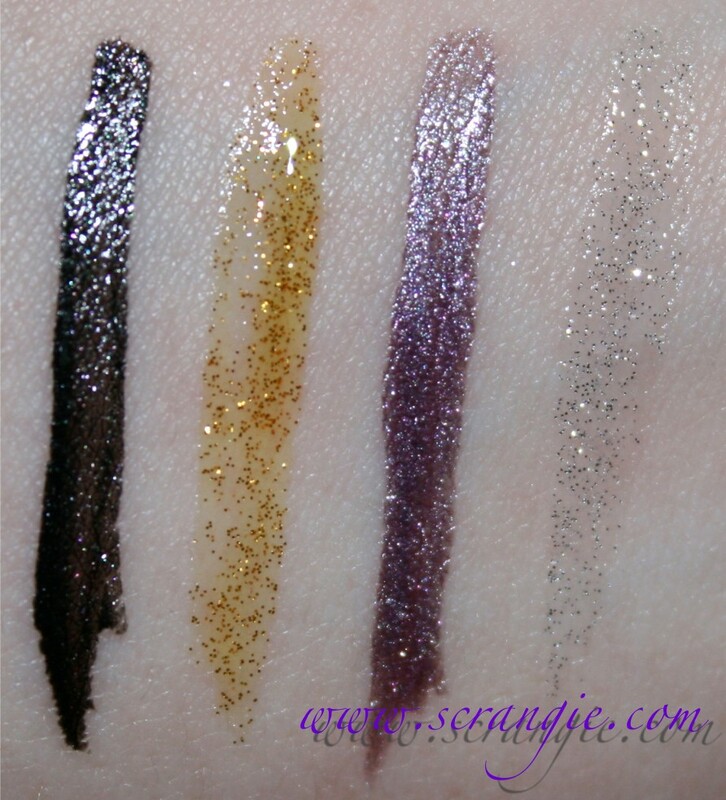 The black and the purple have decent pigmentation but they're very wet and gooey and take a long time to dry. The brushes are not precise; they're a little fluffy and wide and that's the biggest downside to these. 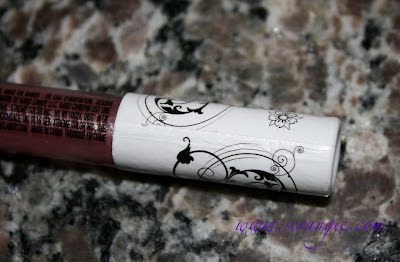 This one is four mini (0.04 oz) Hard Candy Mouthing Off Sheer Lip Shine glosses. 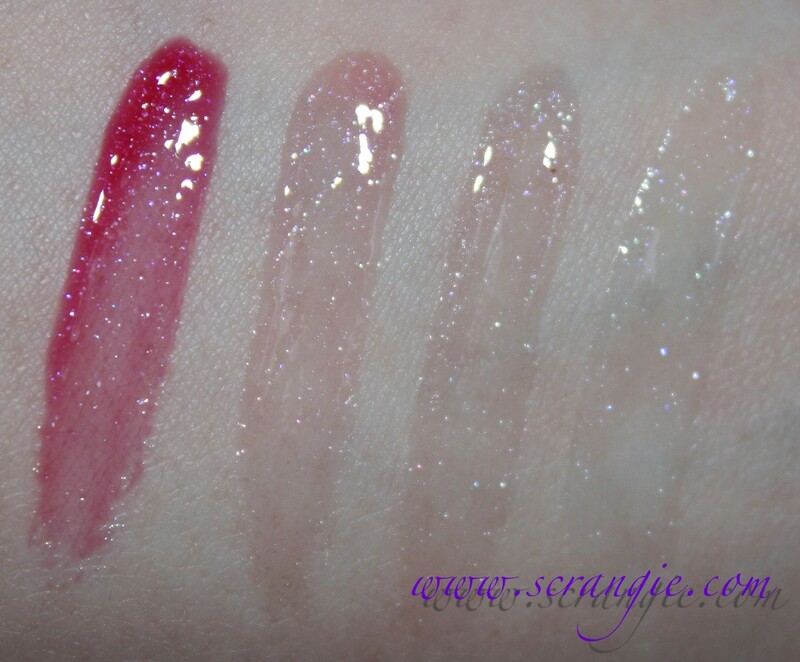 They really are sheer and all shades look pretty much the same on the lips. Just a little shine and shimmer, not much color. They smell nice and feel decent on the lips. They are really, really small and have paper lids that look a little crinkled and sloppy. The quality of these isn't the greatest, but for $5 they're really not a bad deal. The colors are nice and the formula is workable. 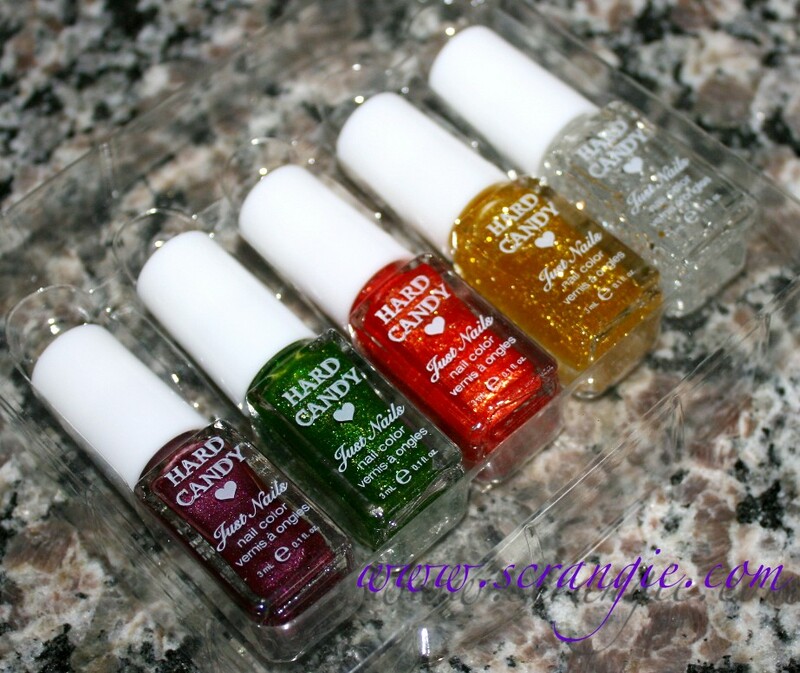 Good gifts or stocking stuffers for the younger girls in your family or just a really inexpensive way to try out a lot of Hard Candy colors at once. Just don't expect full-price quality. These are all available at Wal-Mart and are limited edition. I like the polish collection. The rest are okay for maybe good for young girls. I'm not crazy about their makeup any more. I love glitter liners, etc. These don't look to great. Thanks for the review so I can skip these. 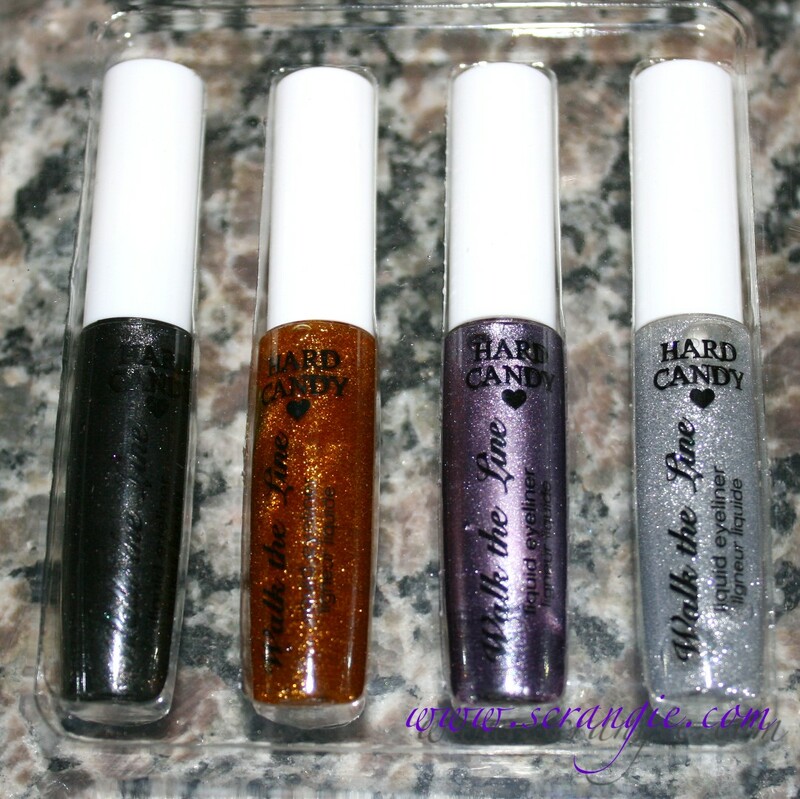 i love hard candy its nice stuff for a bargain price. 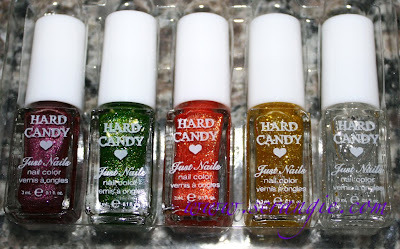 This surprises me a bit because the regular priced Hard Candy offerings are actually quite nice. I received their entire new line of nail polishes from a Twitter giveaway and was really impressed with the pigmentation.